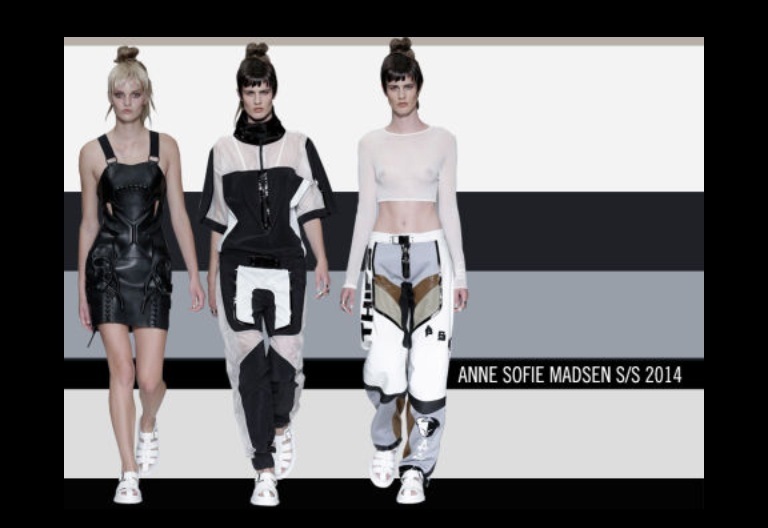 Far from traditional, Anne Sophie’s Madsen’s unique and futuristic designs look like they bare fit for the cast of the Fifth Element. Popular for creating futuristic female warriors, her S/S 2014 collection, Post Human Speed, Sophie Madsen looks to three boys for inspiration: Kaspar Hauser, a young German claiming to have grown up in total isolation, Inochi, the school boy alien robot dreamed up by Takashi Murakami, and Rubber Johnny, a boy able to contort his body into unnatural positions, depicted in a short film by Chris Cunningham. Questioning the human body and identity just as these boys do, Madsen realizes her vision in abnormal excesses and disproportions. The collection also features signature Madsen illustrations, which reference romantic portraits and late 90s Japanese pop art. As tech-forward chic continues to be a mainstay on fashion’s horizon, this Danish designer nails it: fresh, romantic, clean, and completely ahead of the pack. Anne Sophie Madsen graduated from the Danish School of Design in 2009 . Soon after graduating, she trained under John Galliano for Dior in Paris, before moving to to London to work for Alexander McQueen as a Junior designer. Madsen debuted with her couture-inspired collection during London Fashion Week in 2010. 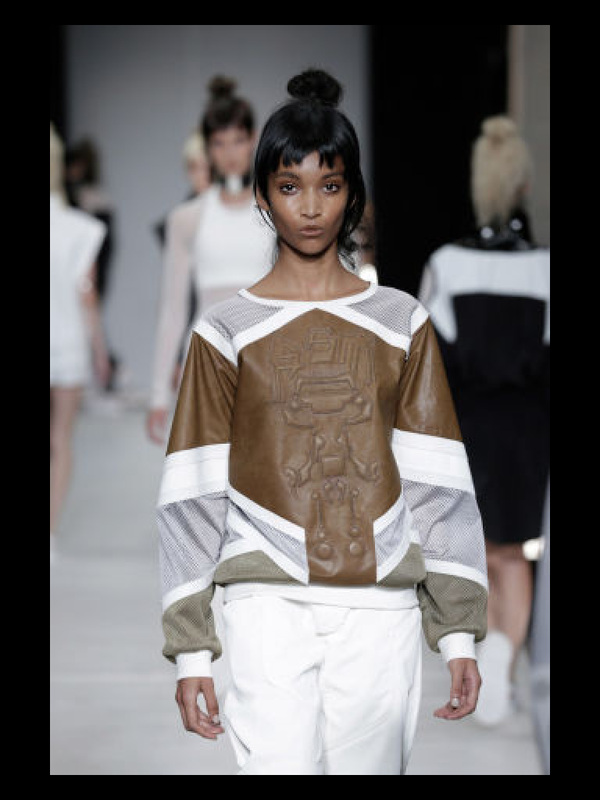 In 2012 she won the Danish Fashion award for best design talent. In 2012 she did shows in Copenhagen, St Petersborg, London and New York, and exhibited in Milan, Paris and London.